Increase your FPS while reducing surface lighting flicker. A very special thanks to alt3rn1ty for helping test. Updated for use with USLEEP. Added a total of 233 additional records! The game's engine can't properly handle many additional light sources. The more light sources in one area, the more pronounced the "texture/light flickering" issue. Aside from being aesthetically displeasing, cities are already lit well enough that the guards shouldn't need to run around with torches. You will get significantly less flickering and a boost in FPS. *Special thanks to alt3rn1ty for helping to test. Go check out his mod Vanilla Reduced Textures. Click the download with NMM button and activate. Place it after mods that edit guard equipment. A: Probably yes. I run major mods like Credo, SkyRe, and Perkus Maximus without issues. Q: But I like torches! 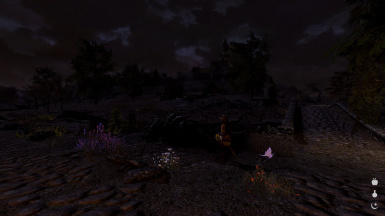 A: Then you'll be happy to know that bandits, companions, and various other NPCs still use torches. Only guards are effected. Q: Does this mess with other mods? A: It shouldn't. Most mods don't touch these records. Q: I see an NPC holding a torch that I don't think should. What to do? A: If it's a guard please open the console and click the guard. Post the formid in the comments and I'll check it out! Q: Doesn't RLO have an optional module that does this? A: Actually no. 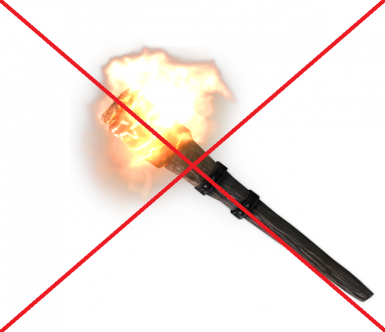 Their esp only removes guard torches from the major cities (with varying degrees of success). 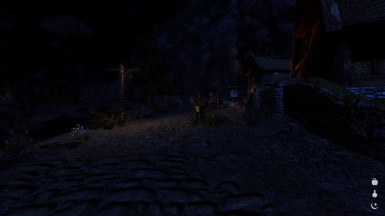 This esp removes ALL guard torches; wandering guards outside of cities, small settlements (Morthal, Dawnstar, Riverwood...), gate guards, road patrols, and civil war guards. A: I changed 329 NPC templates, 1 record at a time. Q: Haha, you're joking... right? A: For every guard there exists 2 alternate versions; one for each side of the civil war questline. Every one of them had to be modified to use the correct torchless templates. I could have changed them all to use a single custom template but then all the guards would have the same types of equipment, and that's just boring.